If you are thinking about switching to vaping as a way of quitting cigarettes, you are probably wondering about the safety of using a vapor device due to some negative posts on media sites. Everyone, especially the new vapers, asks “is vaping bad for you?” and “is vaping bad for your lungs?” Well, we’re going to answer these questions here to end some of the misconceptions about vaping being as bad as smoking. To answer these questions, we’ll look at the effects of smoking and vaping together. How Does Smoking Affect the Heart, Lungs, and Blood Pressure? It is already well known that smoking cigarettes contributes to lung cancer, heart disease, and a host of other respiratory conditions. 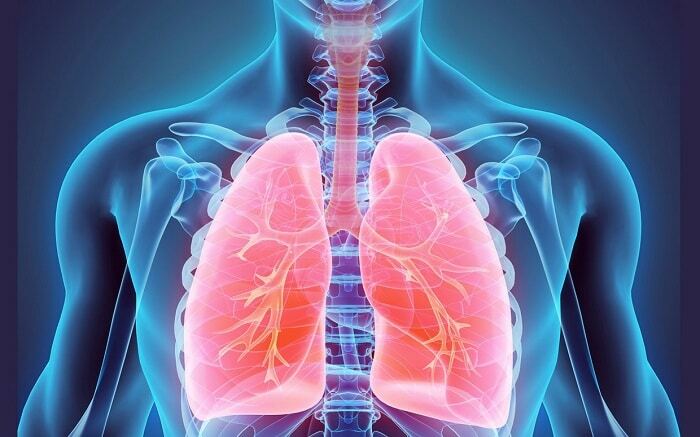 Your lungs have tiny, hair-like receptors called cilia which help clean the lungs and keep germs out. When you smoke, you damage the cilia, rendering them lifeless and unable to do the job. The result is an increase in mucus production (phlegm), frequent infections (bronchitis, pneumonia), shortness of breath (pulmonary hypertension), and smoker’s cough. The reason smokers develop conditions like COPD, (Chronic Obstructive Pulmonary Disease) emphysema and shortness of breath are because when you inhale smoke, even though you exhale it, small amounts of smoke and matter from the cigarette deposit into the lungs. Smoke is heavier than air or vapor so some of it stays in the lower half of the lungs and attaches to the tissue. This, combined with reduced lung function (from long-term smoking), leads to infections and that feeling of not be able to take a full breath (shortness of breath, or breathlessness). Blood pressure and heart rate increases and stays at an elevated rate for approximately 15 minutes after smoking a cigarette. So, it is safe to say that a person who is a heavy smoker may also have an increased risk of high blood pressure now and in the future. Note: Blood pressure and heart rate are back to normal levels within 2 hours of the last cigarette smoked. This process goes on all day long depending on how much the individual smokes. Does Vaping Affect the Heart, Lungs and Blood Pressure? There is no change in blood pressure before or after vaping. Vaping does not increase heart rate. There is no change in lung function from vaping. In fact, many vapers report that they breathe better since quitting cigarettes and starting vaping. Studies done since 2015 on the effects of vaping only make the headlines if they have something negative to say. One prominent cardiac surgeon, Dr. Konstantinos Farsalinos of the Onassis Cardiac Surgery Center in Greece, has published several papers on how the effects of vaping are minimal compared to smoking cigarettes. This segment from Vape Team Media highlights a study performed by Dr. Farsalinos and Dr. Giorgio Romagna in 2013 on the effects of vapor on myocardial (heart) cells. Please watch all the way through as they show the process of their evaluation. Dr. Riccardo Polosa, researcher and director of the Institute for Internal Medicine & Clinical Immunology at the University of Catania, Italy was interviewed for a segment on Regulatorwatch.com. He has performed studies on vapers who have never smoked (to eliminate errors in results from prior smoking habits) and very clearly states that his results indicated no harm to the heart or lungs from vaping. His interview can be seen here, please watch all the way to the end for his statements. While we cannot say that vaping is 100% safe, we can say that vaping produces fewer chemicals than traditional cigarettes and test results show no effect on the heart, lungs, and blood pressure, unlike smoking cigarettes. Aside from exploding batteries, vaping has never been shown to be the cause of health problems or death. No one has ever died from vaping, but people die every day from conditions caused by smoking. So the answer to the question, “Is vaping bad for you?” (is it bad for your lungs?) is no. There is no scientific evidence to show that it is harmful to the lungs. The reports in the media generate fear to deter people away from vaping because smoking and tobacco generate revenue. If people quit smoking, then states lose money and government loses financial backing. An interesting point made by Dr. Polosa in the interview above, is that if his study had shown any evidence of harm to the heart or lungs he would be famous. Why? Because negativity and scare tactics make headlines. If he would have found any negative evidence, the media would have been all over it like it is with everything vaping-related. But since he found nothing harmful in vaping, hardly anyone noticed. License to Vape provides you some of the best information and tips on vaping to help you make the switch from smoking to vaping. Anti-vaping proponents profess concerned over what harm e-cigarettes could pose to the public in the future. What is more harmful to the public is all the negative and misleading information posted on the Internet about e-cigarettes every day. Let’s continue the fight to get the truth out there. Support vaping and the vaping community. Vaping vs. Smoking – Is it Better to Vape Than Smoke?